When evil forces awaken in the darkness, the world needs a team of heroes. But when these heroes are a ragtag bunch of unskilled jerks, only the healer can save the day. 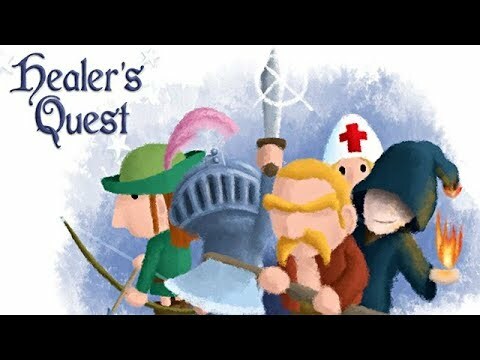 Healer's Quest is a lighthearted adventure where you take on the role of the most underappreciated party member in any fantasy realm: the Healer. Joining a band of inept misfits - a bossy tank, a handsome archer, a depraved mage, and a raging barbarian - you must keep your party’s health topped up whilst simultaneously managing dwindling mana reserves. Not only can your party be taken down when their health ebbs away, they can also be hit with a range of debilitating status effects. If you let party members die, they may well go into a sulk in subsequent encounters. Manage moods with magical curatives, death prevention, and witty dialogue choices.